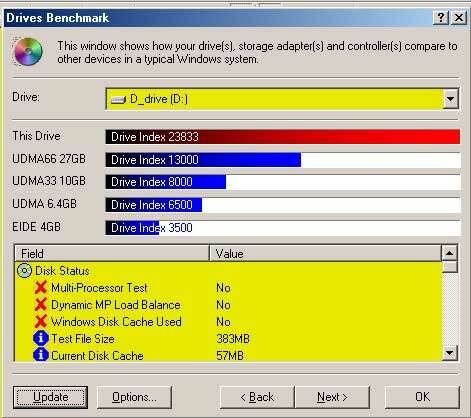 Sandra Pro hard drive benchmark, IBM 75GXP, FAT32. First 15GB partition of 45GB drive. Drive on secondary controller, set as master. Asus CUSL2 motherboard, bios 3 beta 3, P3-700 @938MHz, Windows ME. but it's sometimes helpful to compare numbers on similar systems with similar configurations.